Under laying for floor coverings such as carpet, ceramics tiles, etc. Fast repairs of uneven concrete floors. Residential, commercial and medium industrial application. Application thickness of feather edge to 30mm in a single application. New construction and refurbishment projects. Flat smooth surfaces over existing concrete slabs. Levelling existing uneven concrete floors. Accepts foot traffic within 2 hours at 20°c. Reinstating large areas in relative short time periods. Installation can be carried out in one application. Can be applied directly onto prepared concrete surfaces. 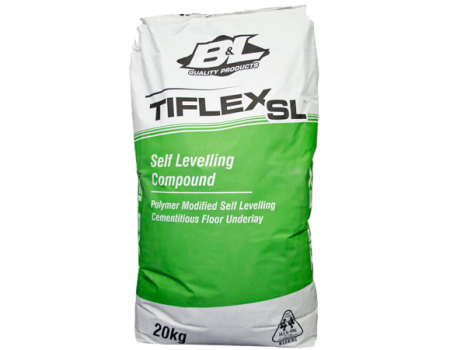 Eliminates the need for sand and cement screeds. Floor covering can be applied next day.